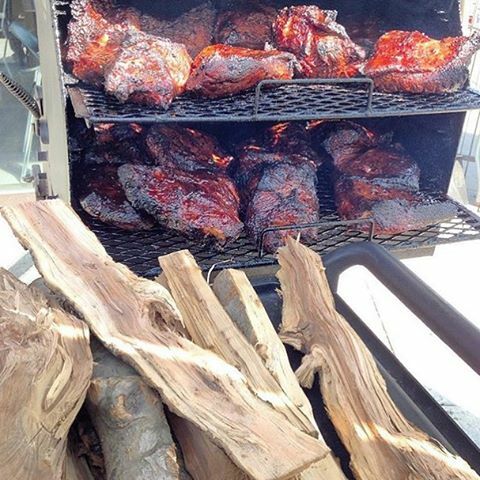 Sub Zero Frozen and Cry-O-Vac Barbecue for all your BBQ needs!! 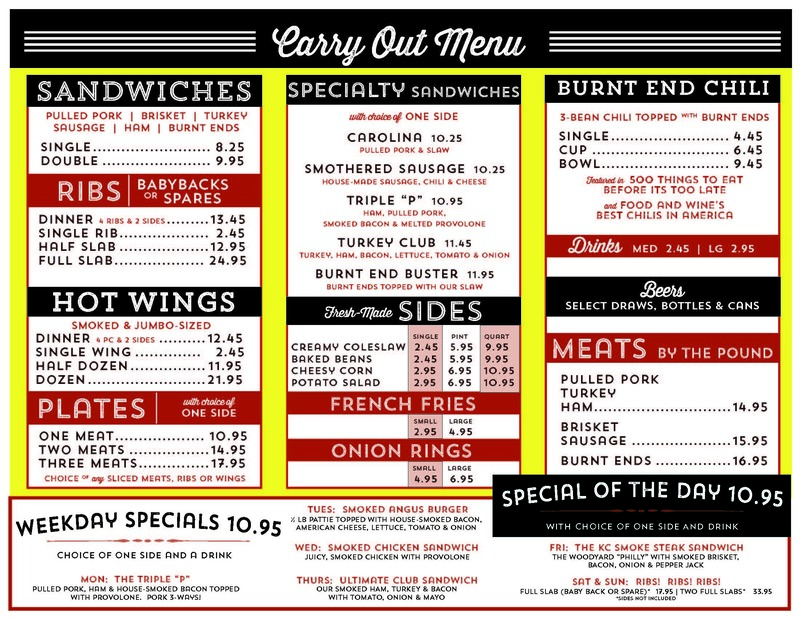 Pick any of our Menu Items and we will Cry-O-Vac and Sub Zero Freeze it for you. Just give us 48 hours! 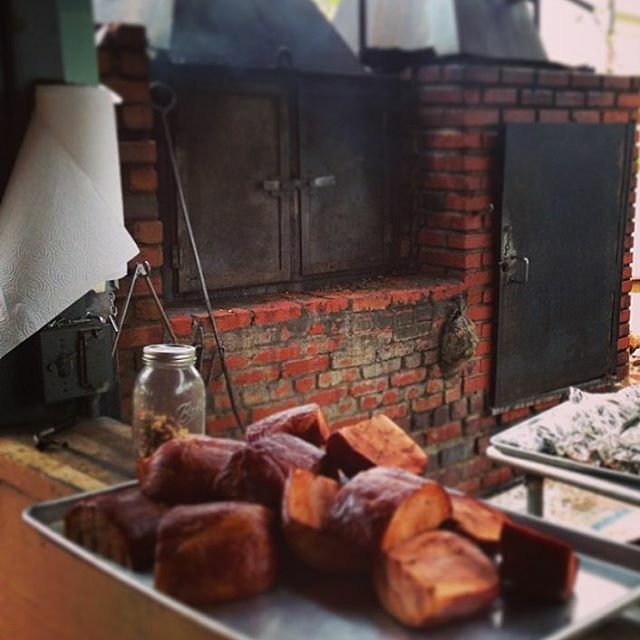 Did you know that Woodyard helped make Kansas City BBQ a T.V. Star? 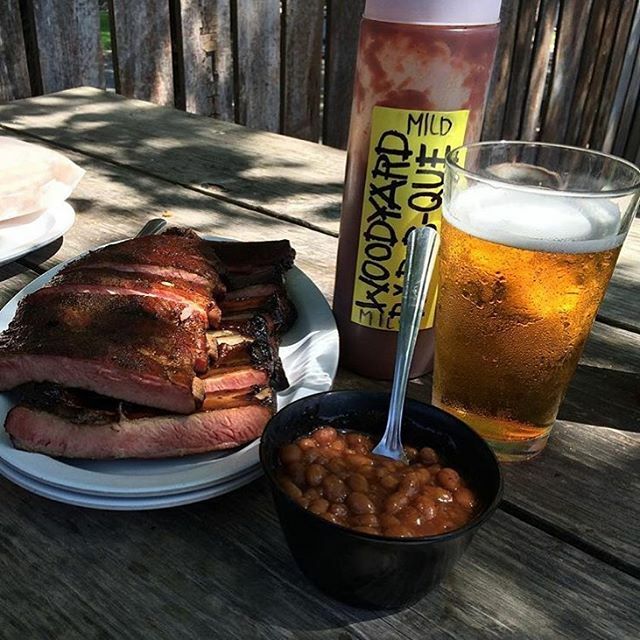 Woodyard, the best Kansas City BBQ around! 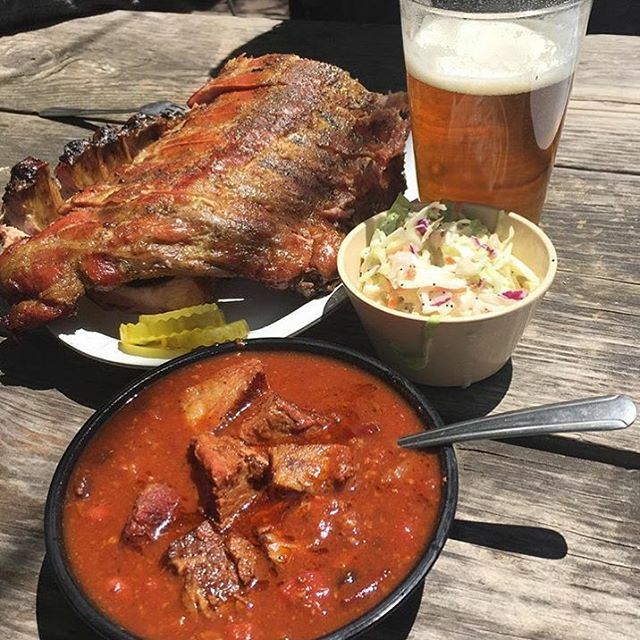 If you’re lucky, when you come in you’ll meet Frank and maybe hear some of the myths and legends that make Kansas City BBQ the king of BBQ and make Woodyard the best place to get it!! 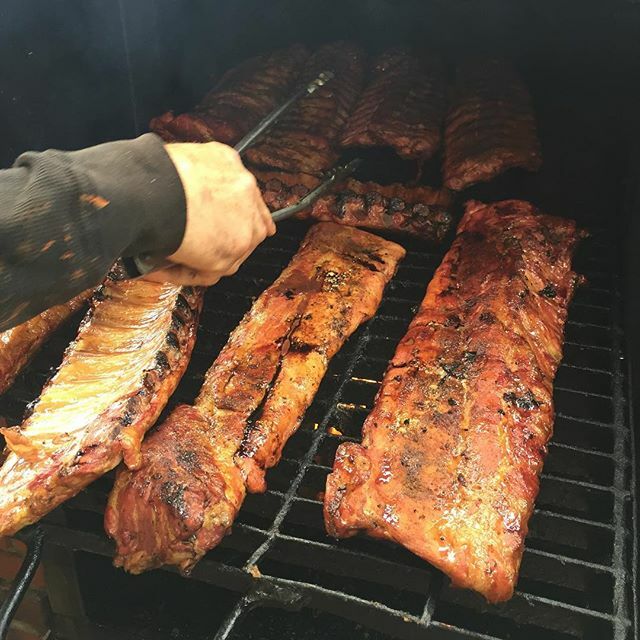 Woodyard Bar-B-Que started with Frank Schloegel II working his grill at lunch, feeding his customers and his friends for free, while he sold wood deliveries over the phone. Frank Schloegel III kept it going in the same spirit of generosity and started smoking for charities and church fundraisers. Eventually he gave in to multiple requests and opened the restaurant. 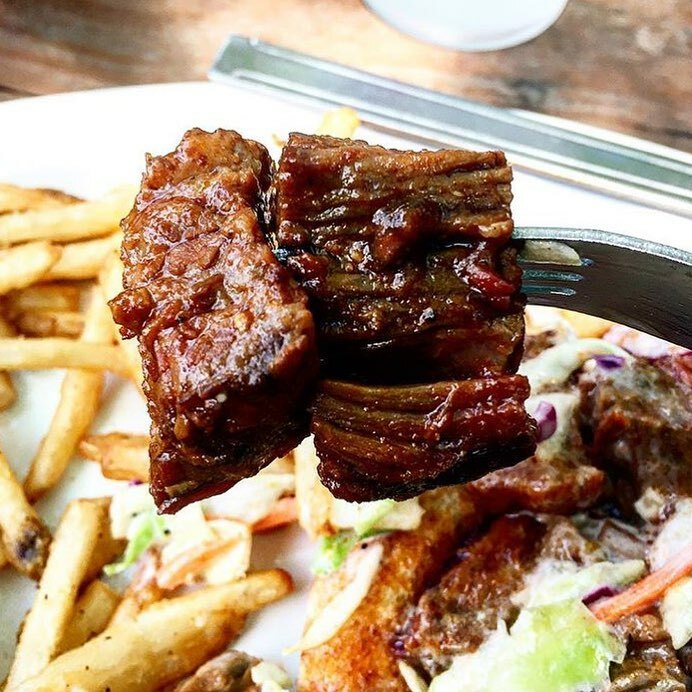 We’ve always been a family business. And we’ve always been a big family, quick to welcome anyone willing to work. Through the ages Woodyard and Southside have employed countless cousins and second cousins. Today we have partnered up with the Molloy family, Ciaran, who runs day-to-day operations and his father Fintan, along with cousin Dave Schloegel, round out the family affair. 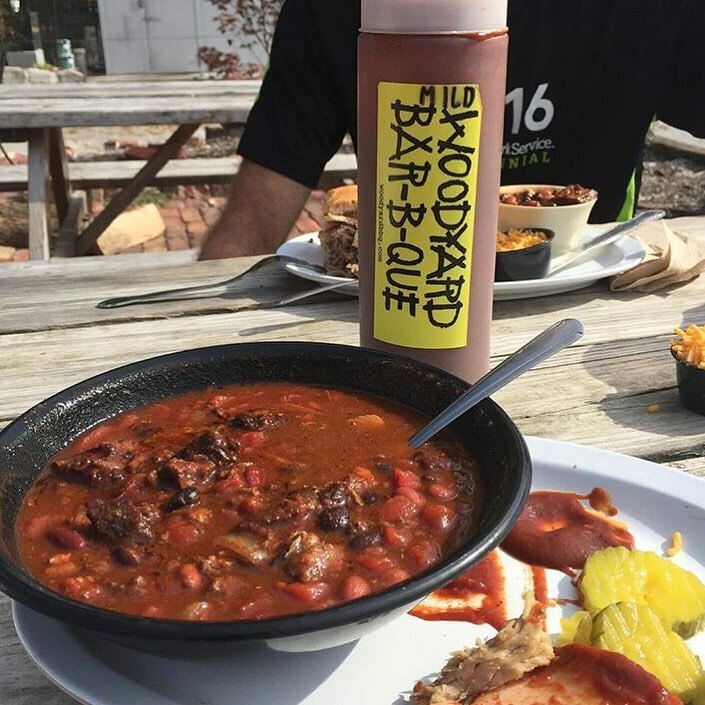 Together we make Woodyard the best BBQ Kansas City has to offer. We moved to Merriam Lane in the 50s and started selling wood – hickory, oak, apple and cherry. 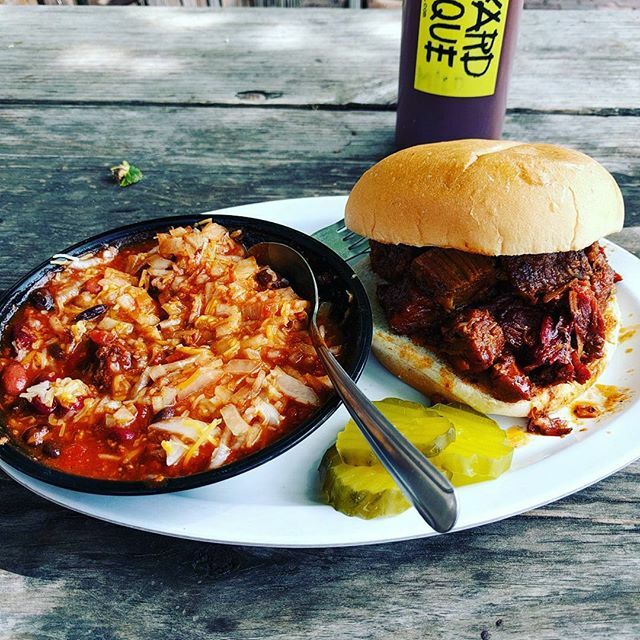 I could find the exact date somewhere, but the history of Woodyard bbq is a lot like the history of Kansas City BBQ in general, it is a history of people and it is best told one story at a time with a little myth and no exact dates. Stories like the time when Frank sold a cord of wood to a guy that dialed the wrong number or the time when he had three friends over for lunch on February 2nd, and now, 55 years later, we still have a Groundhog Day party.